Happy Friday! I’ve been making some tweaks and additions to the blog and thought I would take this, the 25th post (yay, rah! ), to highlight the changes and provide a little bonus content. Biggest news is the CFML page (Consumers for Fairness in Manufacturing and Labor). On it you’ll find links to our Facebook group, the group challenge, and links to blog posts and articles relating to this issue. There’s more than one bad Apple out there, so raising awareness is key. I’ve added a “Best of Trube” section linking to some of the more popular or noteworthy posts. Now it should be easier to follow the blog than ever with our new follow button! WordPress users can just click the button, others can have the blog e-mailed to them. I’m tweaking these features so expect some new stuff soon. 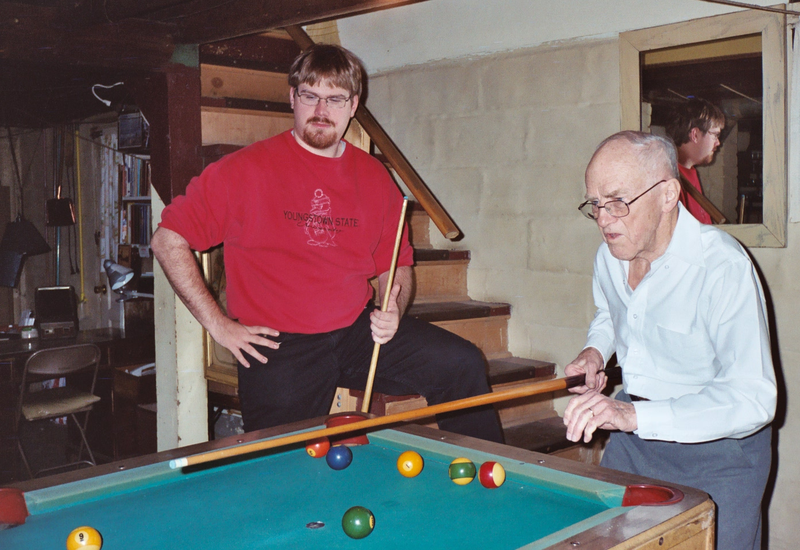 Followers of the blog might be interested in this picture, related to last Thursday’s post (Yes the younger and thinner guy in the Y-Town penguins sweatshirt is me). Wednesday’s post dealt with Fractals, Evolution and civility between Christians and Scientists (who sometimes are the same people!). Here’s a similar call for civility from a scientist. 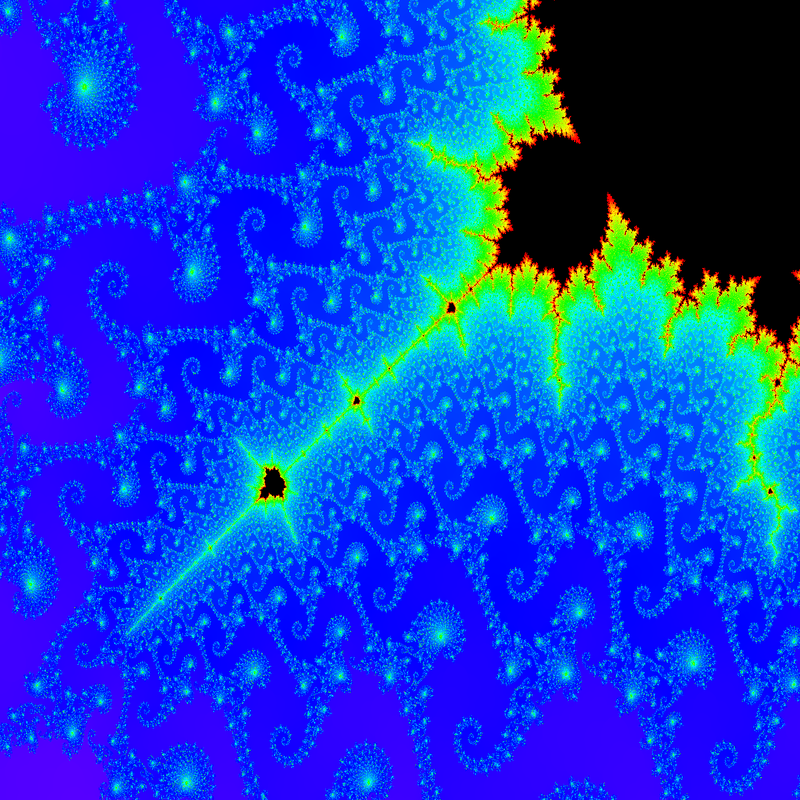 And speaking of Fractals here’s a link to some Fractals in Nature. 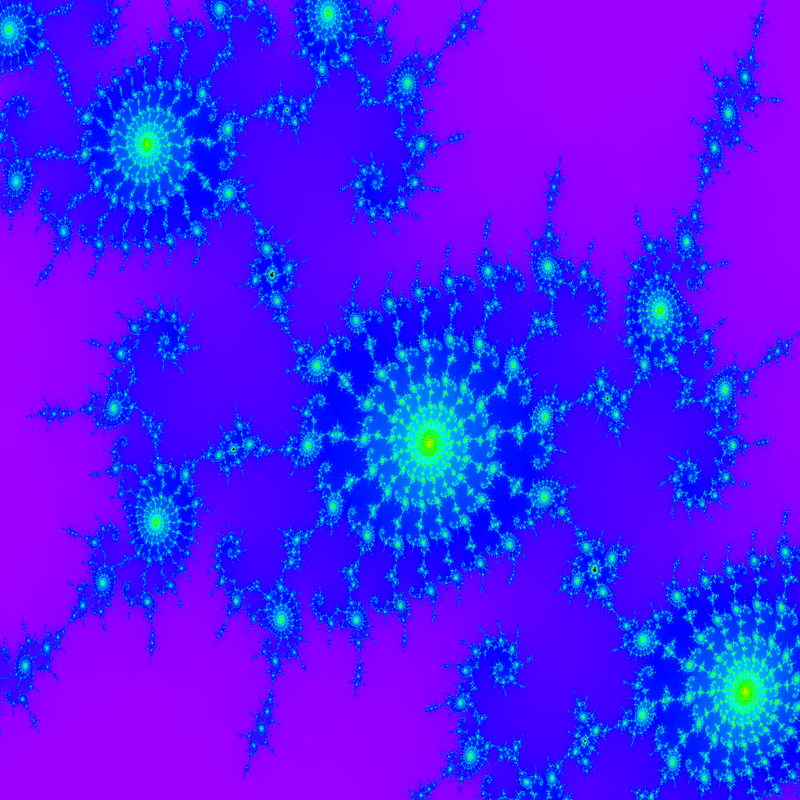 And lastly, as I stated in the post, Fractals are kind of a hobby of mine so I thought I would share some pictures I generated with a Mandelbrot C++ program I programmed. 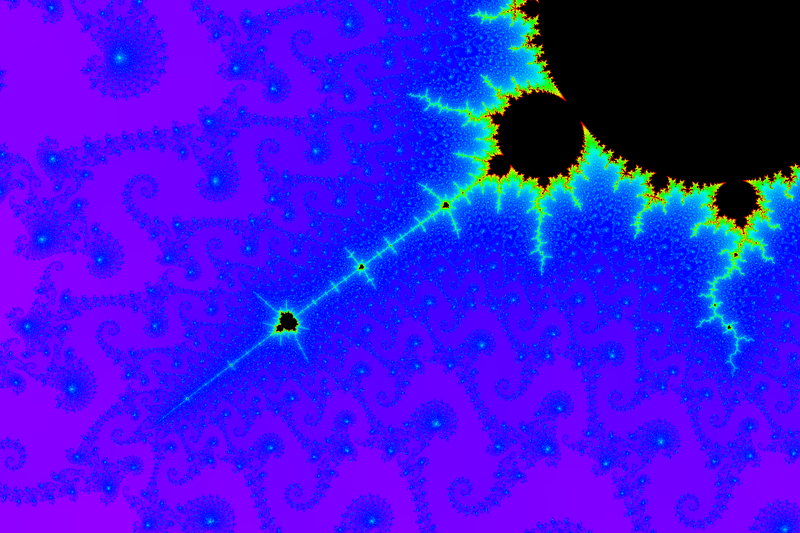 Love the fractals! I’ve looked at the Himalayas many times on Google Earth but never noticed their fractal nature before. Reminds me of an article I read a while back. It turns out that the paintings of Jackson Pollock – who drips paint onto canvases in abstract patterns – have fractal properties too. That article was fascinating! Thanks for posting! What are you doing looking at the Himalayas all the time?